STASH Talkback - Let us know what you think! Quilters make the Best Friends! My house bright and early on the morning I turned the big 5-0! No. 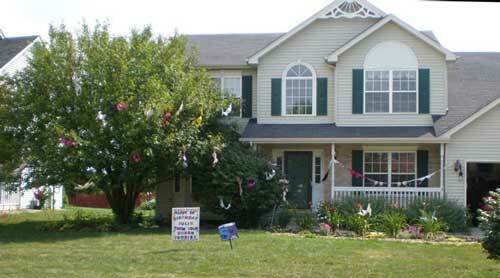 Those aren't beautifully colored songbirds in the tree, on the bush, in the flowers and...EGAD!...strung from the lights. Absolutely! They did it proudly. In the light of day. For all to see. YES! They did laugh their butts off while doing it. No bras were harmed during the execution of this birthday stunt. They came from daughters, sisters, Goodwill, and perhaps even off their own bodies to build up to the coveted number of 50. Sheesh! I had wondered how to explain the size of my fabric stash. How ever will I explain the size of my BRA stash? Maybe there's a quilt in all of this? May your next birthday be as uplifting! With the shipping of EQ7, Electric quilt is updating their videos supporting this software. You'll find them under "EQ7 Demo Videos". Enjoy! Surfing the 'net the other day I came across this nice little online fabric calculator. The hardest thing about using it is remembering to choose the shape you're cutting and then click the "Finished Dimensions" or "Cut Dimensions" radio button. There's a handy measurement conversion chart. All the results are given in decimals, not fractions. So if something should be cut 1-7/8 inches, the program will show 1.875 inches. And yes, you can do this with graph paper, but I just turned 50 and any easy way to double check my calculations is a good thing! Don't you think? You've read about Inklingo in the last two issues. Now, I am proud to annouce that my interview with Linda Franz...author, designer, award winning quilter and creator of Inklingo...is now live on our website! Use the links below to read our 4-part interview. Who would you like to see interviewed next. We appreciate your suggestions. Your Sewing Machine Reviews: Write a review of your own sewing machine. Love it? Or hate it? Tell us about your experiences using your sewing machine for quilting. Quilt Guilds: We are in the beginning stages of developing a 'Quilt Guilds' Directory. Do you belong to a guild? Help us help other quilters by listing your guild with us. It's free. It's easy. And it can help bring new members and visitors to your quilt guild and show. Quilt Games and Other Activities for Guilds: Do you know of some fun guild activities? Guilds are always on the lookout for games, puzzles and easy but entertaining meeting ideas. Share yours here! And last, but not least, we are also beginning our brand new 'Quilt Shop Directory'. If you have a favorite quilt shop, let them know about this opportunity to list their store. Again, it's free and it's easy. Or, if you'd prefer, drop us a quick note through the Contact Us form and let us know a bit about the store and we'll do the rest. 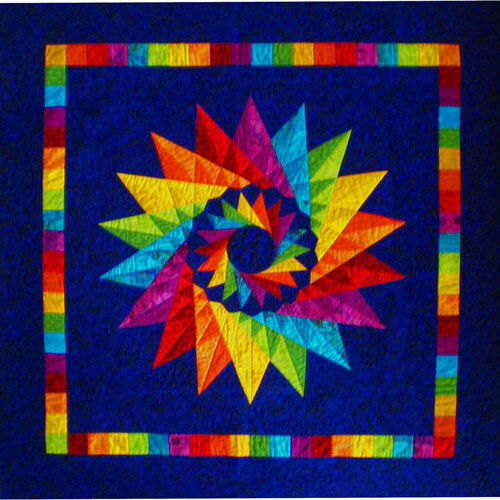 Have you seen the fabulous quilts contributed by quilters just like you? If you love beautiful quilts, you are in for a treat!